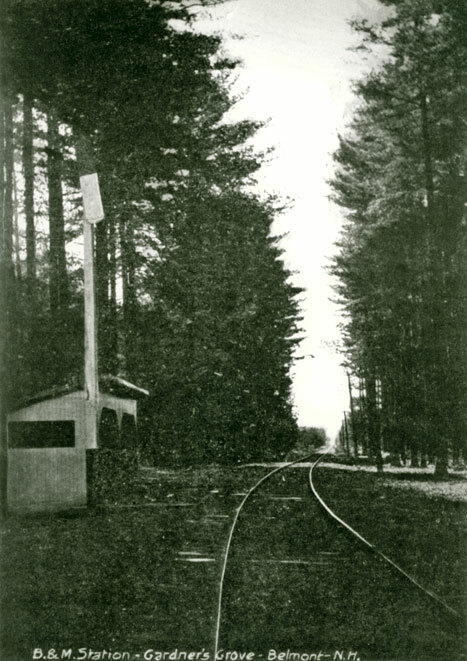 The four-mile-long Tilton & Belmont branch of the Boston & Maine railroad opened on August 17, 1889 and closed in 1929. In September, 1934, the rails, bridges, and trestles were removed shortly after the Interstate Commerce Commission officially authorized the line’s dismantling. The line had only four stops. 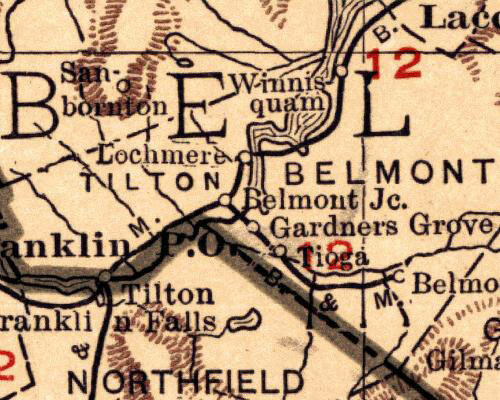 It began at Belmont Junction in East Tilton, stopped at Gardners Grove, then Tioga, and ended in Belmont at the Gilmanton Mills (later the Belmont Hosiery Company). Below is an excerpt from a 1921 Rand McNally map of New Hampshire showing the four stops. 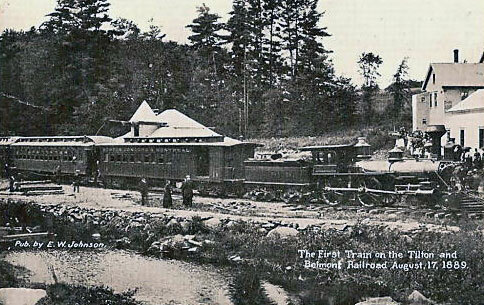 The Tilton & Belmont branch crossed the Winnipesaukee River just below Silver Lake on its way from East Tilton to Belmont. 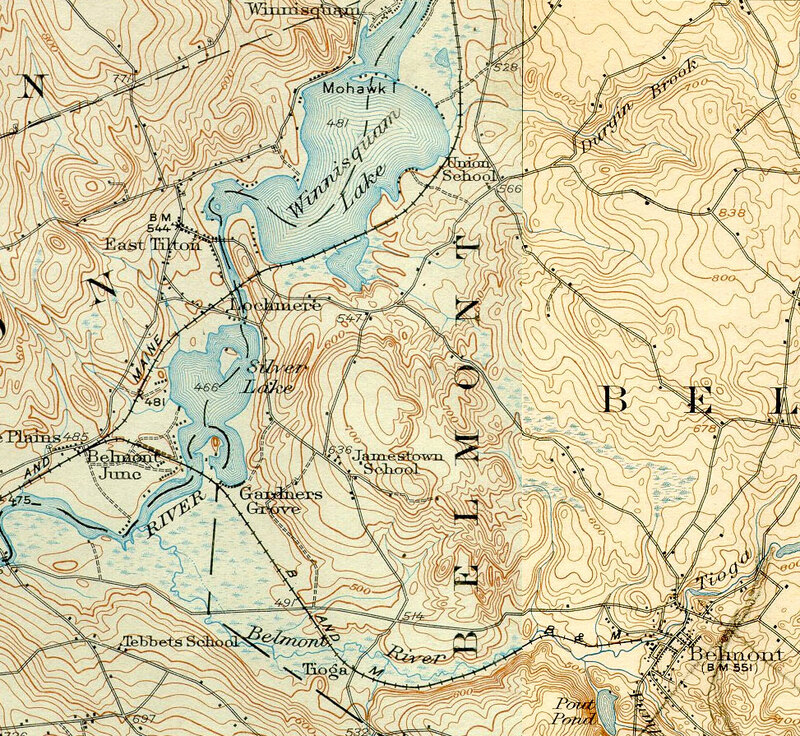 Below are excerpts from the 1927 USGS (United States Geological Survey) Penacook and Gilmanton NH Quadrangles that shows exactly where the line branched off from the B&M main line that continued north to the Lochmere stop (before January 18, 1906, this was called the East Tilton stop) and beyond; and south to the Tilton stop and beyond. 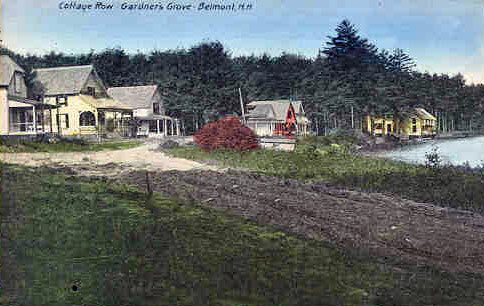 Crossing the Winnipesaukee River on a long railroad trestle, the Tilton & Belmont Branch arrived at Gardners Grove. Gardner’s Grove was probably named after major landowner Harry Gardner, and the large grove of pine trees that lined the shore of this picturesque bay of Silver Lake. It was a small summer resort around the turn of the century, when many lakeside cottages were built, as well as a few seasonal commercial establishments. The Tioga stop was next. 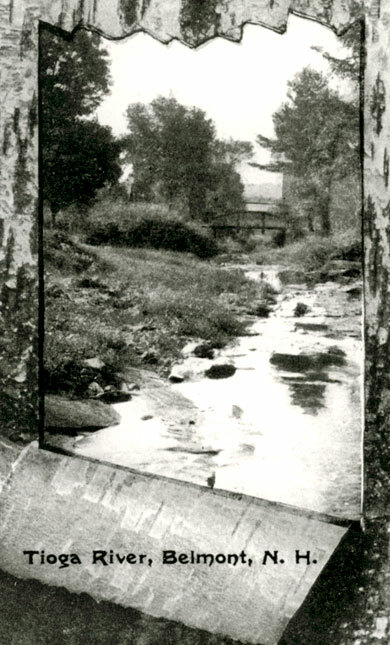 It was named after the Tioga River, which powered many of Belmont’s mills throughout its history.. 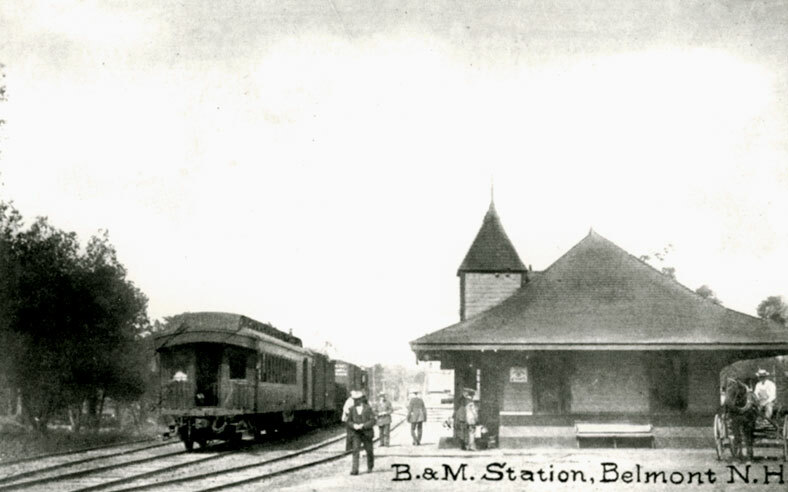 The last stop on the line was the Belmont station, adjacent to the Belmont mill. Although the line was built primarily to service the freight needs of the mill, curiously, the line ended on the opposite side of the Tioga River from the mill. Cargo had to be transported by carriage up Main Street, across the 1870’s era Depot Street bridge, and back down the road leading to the station before it could be loaded onto waiting freight cars. Pedestrians were not as inconvenienced, however, as a wooden footbridge led directly from the station and across the Tioga to the mill. For more information about the Tilton & Belmont branch, please refer to Belmont, by Diane M. Marden and the Belmont Historical Society, Arcadia Publishing, 2006.